A new multimedia show Michelangelo. 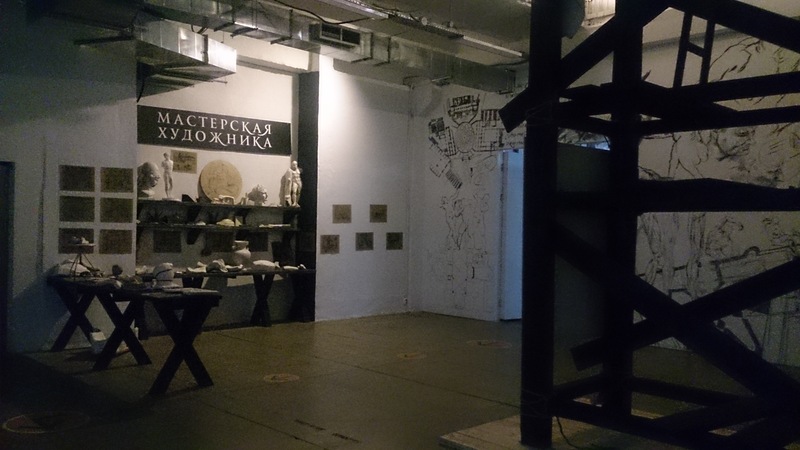 The Creation has recently opened at Moscow’s ARTPLAY Design Center. We have visited the new exhibition to see how Michelangelo’s masterpieces were brought alive. It is better to enter ARTPLAY from the Yauza embankment, a full-sized replica of David, one of the world’s best-known sculptures, will greet you at the entrance to the exhibition. 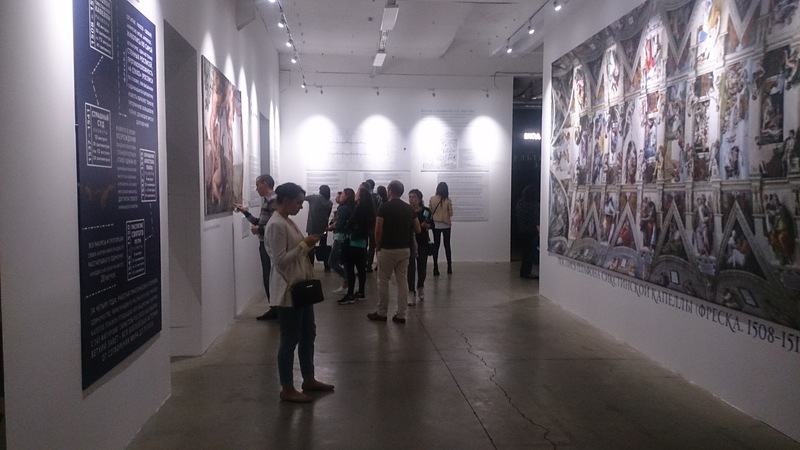 The exhibition itself occupies just several halls in one of the Artplay’s buildings. However, it provides a great amount of information if you are ready to stand, read and memorize. 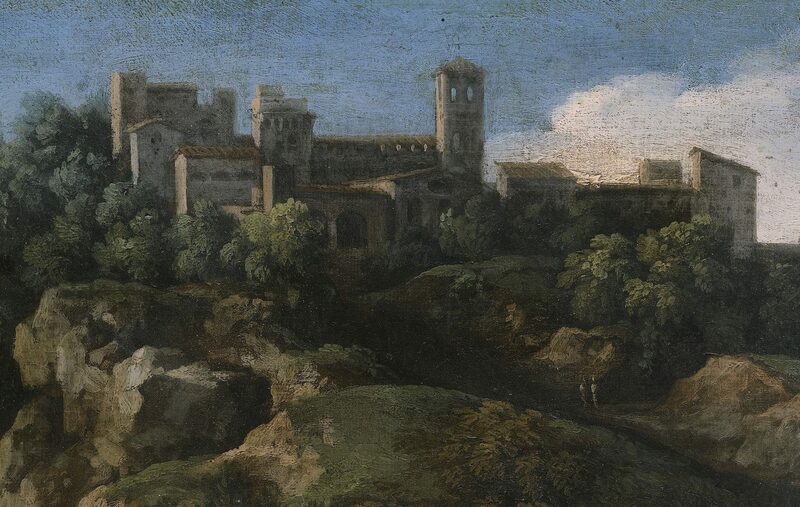 The entrance hall of the show provides insights into the painting techniques used during the Renaissance as well as the life and oeuvre of Michelangelo himself. Lots of information, illustrated with reproductions, lets you learn much about the artist and his creative way. The famous frescoes from the Sistine Chapel are shown in all the details. 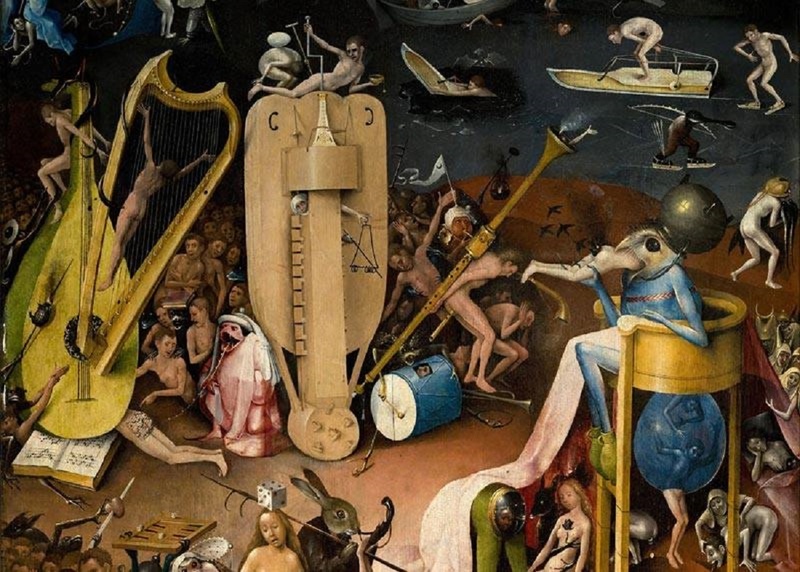 Even before entering the multimedia hall, you will be able to learn the history of every smallest part and each of the 300 figures depicted at the painting. The only problem is keeping all the amount of information until visiting the multimedia show itself. 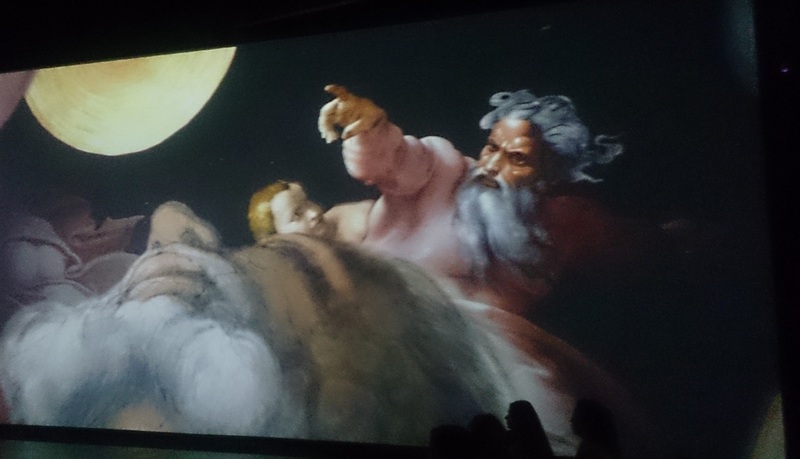 Although the multimedia zone includes only one hall, the famous masterpieces shown at large screens really impress. 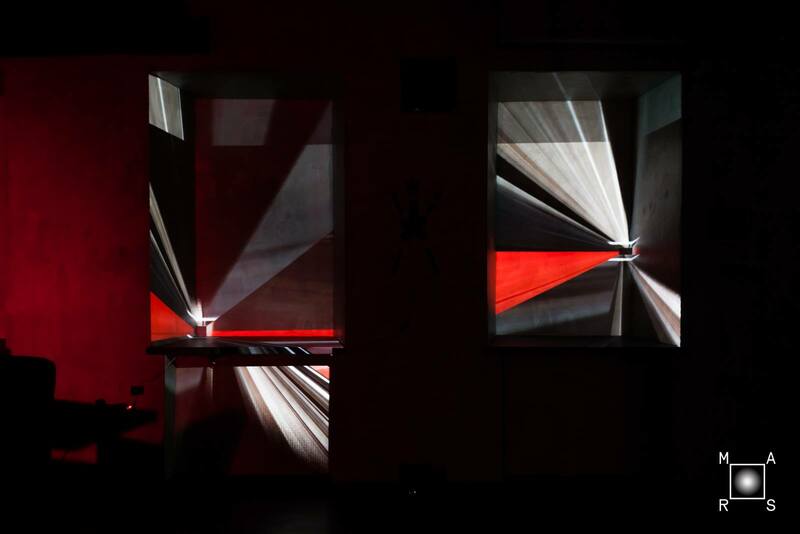 The format is a fusion of multimedia technology and cinema. The technology, used while preparing the exhibition, includes multichannel graphic animation, dozens of state-of-the-art HD video projectors, large screens and 3D audio. Cutting-edge visual effects are accompanied by music of Bach, Handel and Mozart. 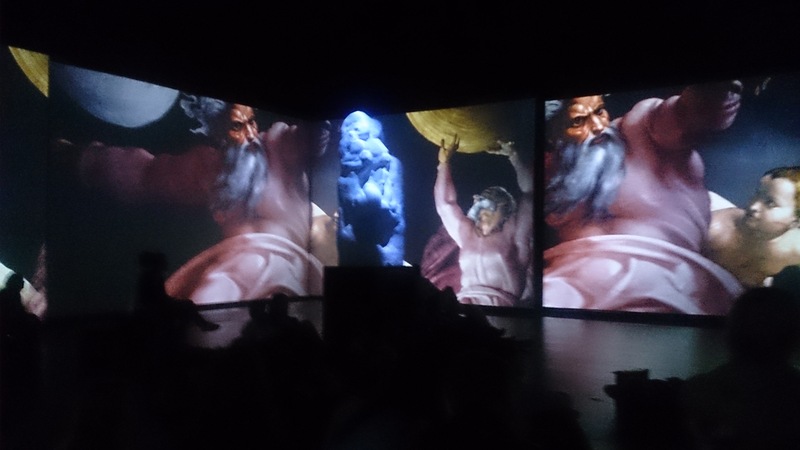 Michelangelo’s world-famous images are brought to life on large screens. And that all creates admirable atmosphere providing a surprising take on the artist’s masterpieces. In addition to the screens, the multimedia hall also features replicas of Michelangelo’s famous Slaves. 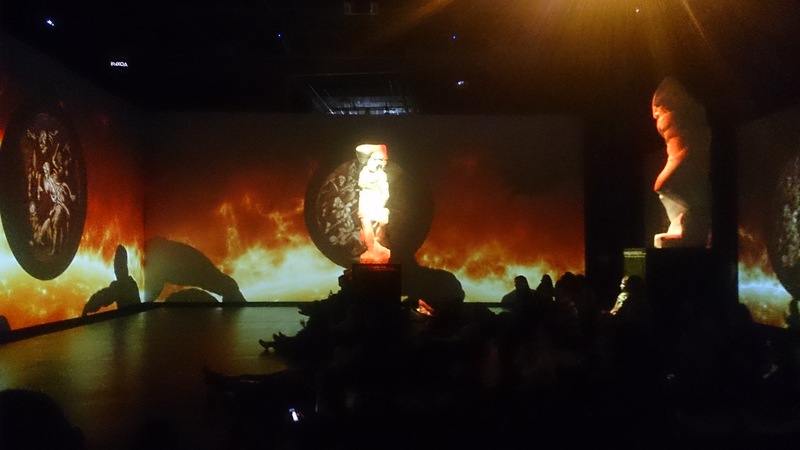 The illuminated sculptures against the background of the wall projections look rather interesting. However, the thing that really disappoints is the tickets price. An adult ticket on a weekend costs 650 rubles (€9.03). So it is better to come on working days (you will have to pay only 450 rubles - €6.25), all the more the exhibition is open until 21:00 from Sunday to Thursday. On Friday and Saturday, it is open until 22:00.